HOW MUCH PROPOFOL DID CONRAD MURRAY REALLY GIVE TO MICHAEL JACKSON? 15,500ml - 280ml = 15,220ml = 15,22 LITER = apprx 4 GALLONS! WHY THE DECREASE IN PROPOFOL USE IN MAY 12 – JUNE 10? I wondered...why? Propofol was being used to "treat" Michael's sleep issues. So why? Propofol causes painful burning sensations. 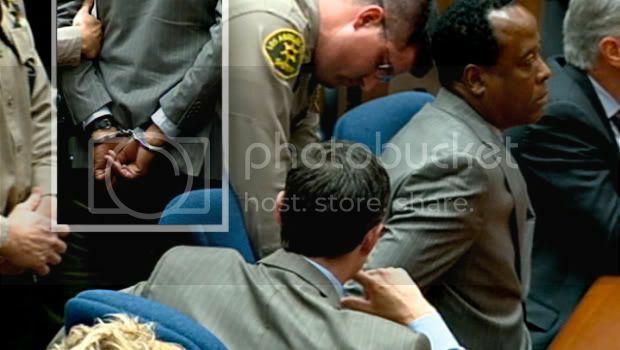 In beginning May, Conrad Murray called applied Pharmacy, stating that his patient was complaining of burning pains at Propofol injection site. Midazolam is given pre-anesthesia (ie Propofol) to relieve anxiety. Murray was trying to relieve Michael's axiety by Midazolam. Lorazepam also relieves anxiety. It works by slowing brain activity to induce relaxation. Beginning May- Murray called the pharmacy and stated that his patient was complaining of burns. Murray specifically asked the pharmacy to find him Lidocaine cream. June 10- Murray placed ordered injectable Lidocaine. This is indicative that the cream form wasn't providing any relief. Murray's following orders included injectable form of Lidocaine, indicating it provided relief. Murray diluted Propofol with Lidonaine. The reason why there was a decline in Propofol use between May 12 - June 10 was the burns at injection site. Murray tried 2 different strengths Lidocaine cream before deciding to switch to injectable form which must have relived the injection burns because as you will see from the chart above, the amount of nightly Propofol steadily increased after the order of injectable Lidocaine. OF PROPOFOL HE GAVE TO MICHAEL JACKSON! Mind you, we are being generous here in assuming that he gave Michael Propofol every single night. We know for sure that it was not the case because there were days that Murray did NOT give Michael propofol. So the ACTUAL amounts of Propofol Murray gave to Michael are HIGHER than these amounts. 50mg of Propofol is NOT enough to put Michael to sleep, especially he was building depency on Propofol like Murray claims. !! !Lies run sprints, but the truth runs marathons!!! Media misreports Michael Jackson drugs & "addiction"
We need the hair samples to know an estimate as to how much propofol Murray actually gave Michael. Until then we can only speculate on how much he gave from the vials ordered and that is nearly impossible given what Conrad Murray has claimed happened--who is here to refute his claims? No one--he killed the victim who wouldn't have known what was really going on, either. Murray's claim of "25-50 mg in an IV drip" makes no sense--propofol is not diluted (though it can be in 5% dextrose but I have yet to see it diluted like this, ever) and how long was Murray supposedly running this "drip"? 25-50 mg in say, 1 L of fluid would not sedate someone, pure propofol given in a bolus as 25-50 mg only works for minutes if not seconds. Add to the fact that Murray giving 25-50 mg here or there does not add up to 1000s of mLs being used a night or even a week. Then, on top of all that, Murray claims he was giving this for "sleep"? Hmm, why would anyone give a medication that lasts minutes to someone seeking 8 hours of restful *sleep*? Also consider this--propofol can sedate people both consciously and unconsciously. To "sleep" would require unconsciousness and with unconsciousness comes the inability to breathe. With propofol, if you are going to sedate someone unconsciously, especially for any amount of time, you MUST support their breathing or they will die. Even when people are consciously sedated (can move about, blink their eyes but cannot recall what occurred) they typically have a mask and a crash cart nearby or they are intubated or if this medication is given for any amount of time. When someone is on propofol and intubated the medication must be stopped before you can remove the tube being used for intubation (aka what is helping make sure they breathe). Michael's supposed "use" of propofol does not fit any scheme of administration. Most people either get it for surgery (one infusion for a couple minutes to a couple hours) OR they may get it almost continuously up to a week or longer while recovering from illness--either way, the person is intubated. Now, it is with the continuous infusion that a patient can sometime develop problems like pancreatitis, high lipids, propofol-infusion syndrome (rare), seizures, high potassium levels, adrenal suppression and kidney failure. Michael was not getting this continuously but was supposedly getting it frequently but apparently did not develop pancreatitis, propofol-infusion syndrome, seizures or kidney failure per the autopsy. That seems to indicate he was not being given propofol constantly in large amounts. This again causes one to question what Conrad Murray really did to Michael at night because he is obviously not telling us the truth. Was Murray still seeing patients in his practices? Where are the excess supplies of medications Murray ordered? Was Murray using medications like propofol and/or benzodiazepines on patients in his offices? Can anyone access Michael's phone and/or internet records to see if he was calling/online during times he was supposedly being put under by Murray? Information seems to indicate he was still calling people during the night during times of supposed administration. If Murray was supposedly utilizing a "drip" then how did he give anything with him only ordering 21 bags of saline over a 3 month period? Drip or no drip--what would he have used to flush the medications into the IV line ordering only 9 bags of saline back in April? How many IV catheters and tubing sets did he order? Topical lidocaine would not help to diminish the burn of propofol--IV lidocaine only is used to prevent or diminish the burn from propofol. Topical lidocaine can be used to diminish the feeling of a needle or for common pain (ex. back pain). What time was Michael awaking each morning? Was Murray there when he awoke or did he leave before (claims are he would arrive to one of his many mistress' apartments between 7-10 am and claims are that Michael typically was up by 10 am, not 7 am). You could not leave someone sedated on propofol and expect them to remain asleep for any amount of time--add benzos to the mix without breathing assistance and you have a dead person (and Murray knows this)--especially someone with lung issues. Midazolam would not be given for anxiety prior to propofol--this would be a death sentence if a person is not intubated as midazolam is very, very potent. Midazolam alone should have sedated Michael for a couple hours at least, too. Midazolam has the same if not more warnings on it than propofol about possible death from use if not used appropriately. Midazolam is more commonly used for procedures (ex. for a tube being placed down your throat to look at your lungs) where intubation is not required but you do not want the patient to recall the procedure (so you do not traumatize them). Lorazepam is not as strong as midazolam but it certainly contributed to Michael's death because it was given with propofol--their effects were additive with propofol tipping the scale of course. If anything should have been used for anxiety it should have been the oral diazepam or oral lorazepam--not anything IV. There was no reason to use IV drugs on Michael and Murray knows this. Michael was not a ill patient who could not take oral medications. One does not develop dependency on propofol. Some reports out there try to make these claims but they are not accounting for other factors (ex. acute illness, agitation being present before being sedated). You do not dilute propofol with lidocaine. I know one of the warrants claims this but this is horrible wording. You can add a small amount of lidocaine to propofol or give lidocaine just prior to propofol but you do not dilute with it. Lidocaine can be fatal, too, if given in large quantity since it can cause the heart to go into fatal rhythms. To conclude all this, all I can say is Conrad Murray is a nefarious liar. He is a Casey Anthony with a medical degree--talk about danger. Nicole, thanks for commenting. Based on Preliminary Hearings, Murray attorneys insist that he never said he gave a drip on June 25 but claims only a bolus of 25mg, slowly pushed via Y site over "3 to 4 minutes"
Kai Chase said that usually Murray comes down between 10:00am - 10:30am to retrieve breakfast for Michael. She said MJ would have lunch with his children at 12:00 - 12:30. After lunch, he had voice lessons, then dance rehearsals with Travis Payne, then went to rehearsals at Staples Center. So Murray's claim that Michael "begged" to sleep at 10:40am just doesn't make sense. "Propofol and midazolam are commonly used to alleviate anxiety"
Now add that another dose of midazolam, 2 doses of Lorazepam, 10mg Valium AND Propofol! Even if he had two of each eqipments he needed, this combnation of drugs is STILL unacceptable. Pinocchio is mad at Conrad Murray for stealing his title! He told more lies than stars in the sky. Why he is still practicing...whatever it is that HE is practicing is a mystery to all. I want to clarify something I said--midazolam can be used for "anxiety" but it is used for anxiety in intubated patients or patients who undergo simple procedures (ex. bronchoscopy, colonoscopy, etc.) --not for general anxiety. It is too potent. It can easily kill someone so you only use it when necessary and when in a setting where you have a crash cart. Lorazepam and diazepam are used for general anxiety. The oral formulations are used unless a patient is critically ill (in a hospital). I hope that kind of explains the differences between those medications.